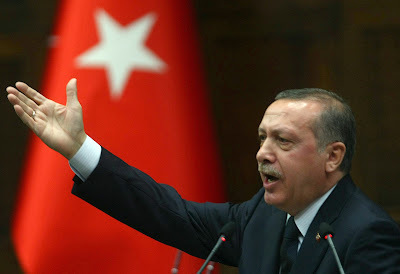 Yesterday, Turkish President Recep Erdoğan, continued his war of words with the Big Three credit rating agencies, asking for the justification for their recent downgrade of Turkish debt – ultimately stating that ‘the constitutional referendum in Turkey is none of your business. Who are you?’; this was in relation to Fitch Rating’s announcement that downgrading Turkey’s credit rating to BB+ was because of recent political and security events in Turkey which have ‘undermined economic performance and institutional independence’. In this post, there will be two questions asked: firstly, is President Erdoğan right to attack the rating agencies for such assessments, and secondly whether the issue of private entities having such an influence over the direction of a given society is something that should be promoted or rallied against? The balance between providing information for investors on one hand, and becoming involved, and in effect dictating the fortunes of a sovereign state is of the utmost importance here because the influence exerted by the agencies needs to be contextualised before we attempt to criticise. Whilst President Erdoğan rails against the agencies, which has become a feature of his presidency, his Economy Minister understands that it is not possible to ignore them either, which allows us to see the bind that politicians find themselves in. Yes a sovereign state should be left to conduct its business without the interference, but if you want to access the capital markets and become a global entity (and in essence it is not a question of want but a question of need), then investors need to know about your creditworthiness. In a perfect scenario, all governments would accept the ratings of the agencies because they were deemed to be independent, reliable, and ethical – just like the Big Three claim they are today. Yet, the cause of Erdoğan’s frustrations and complaints (he is not alone), is that the Big Three are not reliable, are not ethical, and are arguably symptomatic of the Western-dominated production of information that goes on to influence global patterns. Also, the appalling conduct of the agencies in the creation and continuation of the Financial Crisis means that Erdoğan is faced with an industry that is, essentially, immune to failure. Although President Erdoğan is currently ushering in a new era for Turkish politics regarding the power and position of the President’s Office, which some have labelled as an ushering in of Authoritarian rule, the situation raises an interesting point regarding the interference of a private entity in a Nation’s business. Yet, whilst we understand that the agencies, who have questionable ethics and an even more questionable track-record (particularly when it comes to acting in a mercenary-like manner), there is a justification for the interference of the agencies. If we bypass the discussion regarding the effectiveness of a rating agency for a moment, the theoretical role of a credit rating agency is to analyse a number of streams of data and compress that into an easily-recognisable symbol which investors, irrespective of capability, can then act upon. It is not controversial to state that Turkey, arguably above many other countries in the world recently, is extraordinarily volatile. The recent coup d’état attempt, and ongoing military interventions against the so-called Islamic State and the P.K.K. (Kurdistan Workers Party) provide an ample foundation for the claim of Fitch Ratings, and this is not taking into account the suggested switch to what some are calling an Authoritarian regime under Erdoğan. So, for credit rating agencies serving international investors, it would be an enormous failure of their duties if they were to overlook such key indicators of instability and report that the country’s debt was a safe investment. So, whilst the arguments of the state can be seen, the arguments of the rating agency can be seen also. Potentially, the case of Erdoğan dilutes the argument for reducing interference in State matters, because with the situation in Turkey, that interference is warranted. Yet, it is arguable that it is not warranted in other situations, which raises the question of whether the Big Three act as investment facilitators, or ‘King-makers’, who can influence and manipulate a position to its will, or the will of an entity it ideologically represents. This latter issue is a fear recognised by many, including the BRICS nations who are attempting to counter that influence with their own rating entity, and private attempts to counter the influence, like that witnessed by the Universal Credit Rating Group. The creation of knowledge which is then seen as superior because of its Western Origins is becoming an acknowledged issue – but we must be careful in our opposition to it. When the rating agencies launched their salvo on Spain in 2010, for example, it represented a different approach to that witnessed in the case of Turkey recently. During the Eurozone Sovereign-debt Crisis, it was clear that Rating Agencies were exacerbating a problem that they themselves had been pivotal in creating; in the case of Turkey, the intervention of Fitch looks like good practice. So, what is the difference? How do we know when to praise and when to rebuke? Unfortunately the answer to that is illusive, and will forever remain an extremely complicated one. Yet, the perpetual twisting of the knife from the rating industry in situations that it itself contributed to is a real concern, as this manipulative and influential effect upon a Nation State’s fortunes, from a private entity, represents a power shift which is demonstrable of our time – i.e. the power of the corporation over the public. Yet, the case of Turkey does not fall into that category. For a country to be involved in multiple military operations, recently be subject to a coup attempt, and be in the process of switching to an allegedly authoritarian regime means that for Fitch to do anything other than downgrade the debt rating of Turkey would have seen them castigated universally. Unfortunately for President Erdoğan, the credit rating agencies should be, and in fact need to be castigated for their many appalling actions, but downgrading Turkey’s debt rating is not one of them.